To completely cleanse the liver, you can’t just flush. In fact, sometimes you don’t even need to flush. I highly recommend that anyone with severe acne or other symptoms of chronic degenerative disease flush, but it’s not mandatory. What is mandatory is being thorough. 2. One week in, swallow a tablespoon of oil every morning, followed by the Cleansing Drink. 30 minutes later eat a high-fiber breakfast, or eat sauteed apples or apple sauce, or a Fiber Shake. The fiber will trap some the bile and stop it from being re-absorbed by the liver. It’s why oats seem to lower cholesterol. 3. Eat plenty of garlic and ginger but avoid cracked black pepper – it’s irritating to the liver. 5. Drink Dandelion tea or take a tincture, or take Coptis and add Turmeric to your foods. 6. 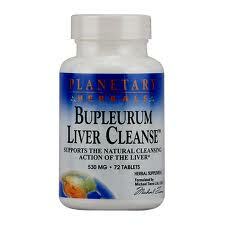 Take a good liver-dredging complex such as Liv.52 or Dr. Cabot’s Livatone Plus or Planetary Formula’s Bupleurum Liver Cleanse. 7. Drink a cup of peppermint tea every-other day, alternating with ginger tea. Other options include the occasional coffee enema (no more than once a week), adding beets to the diet such as in the Cleansing Cocktail, eating artichokes, taking Milk Thistle. You can do all this instead of a flush, or do all this for a month and then do a flush. « How many flushes before I see results?